Brodie Summers joined the Team Buller Riders (TBR) club program as a teenager, blending natural talent with hard work and dedication to progress quickly through the Australian athlete pathway and his first Olympic Winter Games in Sochi 2014. This past season - 2016/17 - has been a watershed year in which Summers climbed onto the World Cup podium in February for the first time at Deer Valley, winning Bronze and then going one better in Taiwoo, China six weeks later with a silver medal. The two podium finishes placed Summers in eighth place on the overall world rankings leader board for 2016/17, which was a very welcome return to form after having to sit out the 2014/15 season with a back injury. 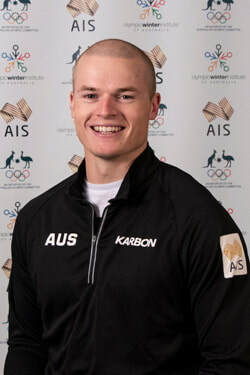 Summers first full-time year on the World Cup circuit was in 2013/14 when he secured his place on the 2014 Australian Olympic Team by producing two strong World Cup results just prior to the Sochi Games. Summers qualified best of the three Australians for Final 1, but then missed out on a spot in Final 2 by 0.1 of a point. Needing a top-12 finish to progress, Summers finished his Olympic campaign 13th. The 2016-2017 World Cup season was a breakthrough year for Summers, winning the first two medals of his career in Deer Valley, UT, USA, and Thaiwoo, China. Summers was the best placed Australian male at the 2017 World Championships in Sierra Nevada, Spain, narrowly missing out on a top-10 finish, placing 11th in an extremely competitive field. After qualifying for his second Games at PyeongChang 2018, Summers ruptured his ACL in September 2017 and undertook a relentless rehab program to give him the best shot at a second Games experience. Unfortunately, in the final training session at PyeongChang, he flared up his knee injury and it was decided he would not line up for the event. Proudest moment: First World Cup podium in Deer Valley, Utah, USA. Best sporting memory from 2016/17 season: My first two podiums were unforgettable – 2nd in China and 3rd in Deer Valley; but my best sporting memory of the season would have to be a training dual that I had with teammate, Matt Graham on the night between the singles and duals events in Deer Valley. That was the most fun I had in a mogul course all season long …possibly ever! I began my sport in ... 2006 with Team Buller Riders at Mt Buller. I enjoy my sport because ... the constant challenge to improve, coupled with the intensity of competition and comradery with my teammates and competitors from around the world is what makes this sport so rewarding to be a part of. Education: I’m currently in the process of completing my specialist bachelor’s degree in banking and finance at Monash University. Favourite international competition: I love all competitions on the calendar but Deer Valley is always a special one to go back to. Drawing big crowds whilst we battle it out on the floodlit course is truly a special experience! Favourite music: There’s a genre for every mood/occasion. Favourite other sport to watch or play: Golf & Cycling. My hero is: I don’t pick favourites. Most people have something inspirational that you can discover about them. I like to take the time to find out about and learn more from those who I look up to.